Facebook is tracking everybody across the Web, millions of MySpace credentials are up for sale, Amazon brings Alexa to your browser, No Man’s Sky suffers a delay, and Pong Project takes shape. Facebook ads based on your web browsing is the new "turning on a light to reveal your spouse pointing a gun at you from the armchair" right? Facebook is set to start tracking you across the Web, even if you don’t have a Facebook account. This means you’ll soon be exposed to ads delivered through Facebook’s ad network, whether you like it or not. There have been rumors for several years that Facebook tracks non-users, and both France and Belgium have previously ordered the social network to stop doing so. However, Facebook has always denied the accusations, insisting its systems “comply with applicable laws including EU law”. Whether Facebook has always tracked non-users or not, it definitely will do in the future. Which broadens Facebook’s business considerably, turning it from a social network which pays the bills through advertising Why Am I Seeing This Ad? How Social Media Ads Target You Why Am I Seeing This Ad? How Social Media Ads Target You Every social media site out there shows us ads. But sometimes, those ads can get very specific towards you, often showing you ads that seem creepy and stalkerish. How do they do that? Read More to users into a multi-layered business competing with Google on more than one front. Be afraid, be very afraid. MySpace got hacked… at some point in the past. We know because millions of MySpace login credentials are for sale online, even though the company itself never reported a major incident. With 360 million emails and passwords up for sale, this hack appears to date from when MySpace was still a social networking force to be reckoned with. These MySpace credentials are linked to the recent LinkedIn leak, as the same hacker hawking the LinkedIn credentials is now asking for six Bitcoins (around $3,200) for the MySpace credentials. LeakedSource, which tracks hacked data, claims to have access to the data, and is adamant it originates from an old, unreported (or even unnoticed) attack. If you ever had a MySpace account then your email address and password could be a part of this leak. However, unless you’re still active on MySpace, you only really need to worry if you use the same combination across multiple services. If so, that password you thought was impenetrable may have now been exposed to the criminal underworld. Unless you own an Amazon Echo Amazon Echo Review and Giveaway Amazon Echo Review and Giveaway Amazon’s Echo offers a unique integration between voice recognition, personal assistant, home automation controls, and audio playback features for $179.99. Does the Echo break into new ground or can you do better elsewhere? Read More , you are unlikely to have experienced the awesome power of Alexa 7 Creative Uses for Amazon Echo and Alexa 7 Creative Uses for Amazon Echo and Alexa You’ve seen the ads starring Alec Baldwin, but you're still not sure what Amazon Echo does or whether you need one in your home. We’re about to find out. Read More , Amazon’s personal assistant. And like most technical innovations, the inability to test Alexa out may have held you back from purchasing an Echo. It’s a classic catch-22 situation. However, Amazon has tried to resolve this quandary, creating a Web app which lets you test Alexa our right from within your browser. To do so, simply visit echosim.io, sign into your Amazon account, and ask Alexa whatever questions come to mind. No Man’s Sky, one of the most anticipated games of 2016, has been delayed from June until August. Originally announced in 2013, and winner of multiple awards at E3 2014, No Man’s Sky is finally set to arrive on August 9 in North America (August 10 in Europe, August 12 in the UK). For the uninitiated, No Man’s Sky is a survival adventure game which takes place in a procedurally generated universe No Man's Sky and the Future of Procedural Games No Man's Sky and the Future of Procedural Games If you haven't heard of No Man's Sky yet, you're missing out. This open-world adventure game is set to pioneer a new standard in procedural generation, a topic that's deeply interesting even if you don't... Read More . This means there are over 18 quintillion planets to explore, gaining information which is submitted to a universal database called The Atlas. With the size and scale of No Man’s Sky, I think we can forgive the developers for the delay. And finally, Pong is one of a handful of video games that changed the world 10 Video Games That Changed The World 10 Video Games That Changed The World These are the games that changed everything, that signalled the next step in the evolution of video games, and that needed to exist for the video games industry as we know it today to exist... Read More . It was a simple affair, with players moving paddles up and down to bat a ball back and forth. However it influenced every sports game that came after, and hooked a whole generation of gamers who are likely still playing video games to this day. What do you think of Facebook targeting non-users? 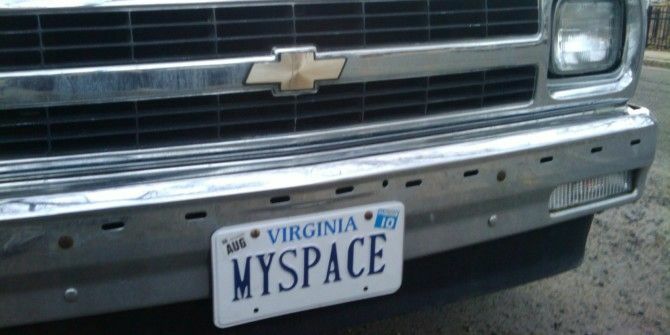 Do you actually care about MySpace getting hacked? Will you be putting Alexa to the test? Are you annoyed that No Man’s Sky has been delayed? What old-school arcade game would you like to see brought to life? "Whether Facebook has always tracked non-users or not, it definitely will do in the future." Two big errors within three paragraphs, and this is an article by a “professional” writer?! It certainly appears that no one has proof read the article prior to publishing. Obviously “MakeUseOf” is not bothering to check their articles for grammatical errors; and yet we, as the readers, are expected to believe their articles do not also contains errors in fact…? do it? One has to conclude “MakeUseOf” values speed and economy over content and accuracy. Thanks for spotting the error in the quote. I obviously pasted the copied text in twice without noticing. As for the second "error" I cannot see what you're referring to. That sentence works perfectly well. You do know the option exists to point out typos (which we are glad to rectify) without condemning the whole site, right? As for the option to point out typos, it has been my experience there are so many "typos" by so many "professional writers," pointing out and correcting them could be a full time job. That applies not only to "Make Use Of," but to professional sites in general. I realize I am in the minority, likely considered a "kook;" nevertheless it is my belief that so-called professionals should be held to a higher standard. Otherwise professional publications appear to be no more credible than some of the ridiculous posts one sees on Facebook, for example. Not to mention my previous point about errors on resumes. Do you believe you would have been called in for an interview if your resume had a "double paste" or seemingly missing word in it? Such a circumstance seems a double-standard to me. Well, my guess is this point has gone on long enough, more than you would ever care to deal with. I should close anyway so I can go wipe the foam off my "mad dog" mouth. LOL the first thing I thought of was Adsense and those other advertisers... they ALREADY track you, and you don't even sign up for them! Isn't a physical version of Pong called table tennis? This is more a homage to Pong, recreating the exact styling seen in the game. But yeah, table tennis is real-world equivalent, I suppose. "Facebook is set to start tracking you across the Web, even if you don’t have a Facebook account." Ha, now remind us again why it's immoral to use script blocking software in our browsers. But I also flush all my cookies at the end of each browser session, which makes any long term tracking attempts a little more difficult. Facebook has taken over as the pernicious, evil empire with its tentacles into everything.